The Mason bed frame from Sweet Dreams is new and offers a curved headboard and footboard, but instead of curving upwards both headboard and footboard curve downwards giving the frame a very distinctive look. 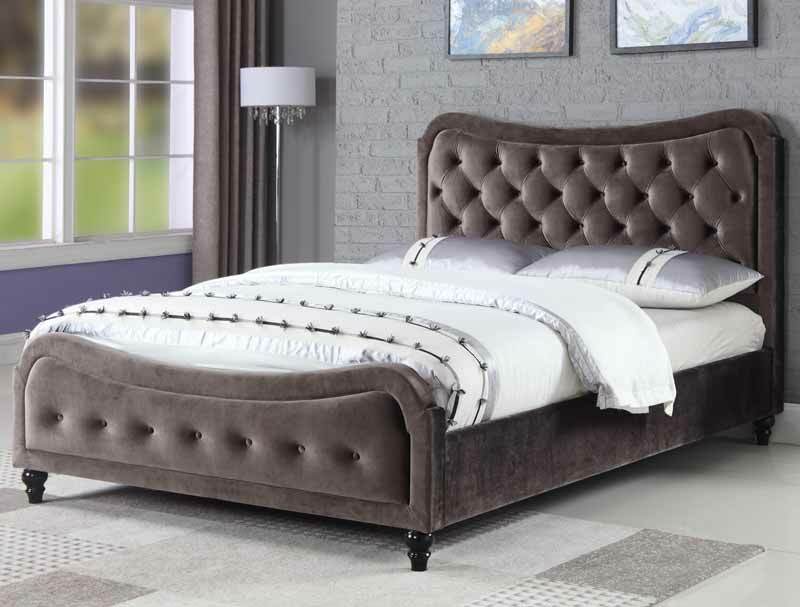 The Mason bed frame is supplied in one colour only a soft mink brown velvet and has an insert panel and a multi buttoned headboard & footboard. The bed frame is supplied with a metal centre bar and plywood slats and is delivered flat packed for home self-assembly. This bed frame when it comes into stock in mid-December 2018 will be delivered direct from Sweet Dreams via courier in 5-7 days to most areas of England, Scotland and Wales free of charge. Please note some areas will incur a delivery charge, please see delivery info page and will take longer than 5-7 days.